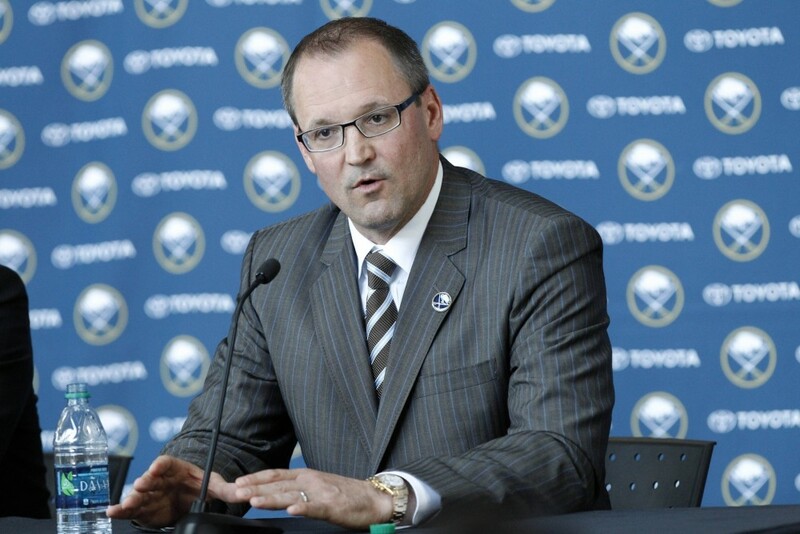 When Dan Bylsma was introduced as the 17th head coach in Buffalo Sabres history, one of the many questions he was asked during his introductory press conference with the Buffalo media involved the upcoming NHL Draft and a certain top-level prospect. It’s widely known that Buffalo will select Boston University center Jack Eichel in June’s draft, but what does the team’s new head coach think about the potential superstar? Bylsma praised Eichel’s ability to not only player against NHL players, but actually match up nicely against some of the best in the game like his former player Evgeni Malkin and Montreal’s Tomas Plekanec. The 44-year old head coach also mentioned what it was like coaching superstars, having worked with the likes of Malkin and Sidney Crosby in Pittsburgh. He stated that it’s about understanding the pressures that players of that caliber are always going to be under when they are on the ice. Bylsma added that he learned just as much from working with players like Crosby and Malkin that those same men learned from him. He then brought up the players that are expected to be major parts of the organization moving forward, and how they are likely to be viewed as their careers advance. Both Bylsma and Murray know that the process of getting the Sabres back into playoff form won’t happen over night, or even in one season. However, Murray believes that by bringing in Bylsma as coach, he has found the man who can be the perfect mentor while the team works at becoming contenders both on, and off, the ice. “We need somebody who knows how to teach, knows how to communicate,” Murray said. “It’s not just telling somebody what to do; it’s why you have to do that. There aren’t a lot of coaches who can do that. I think Dan is one that can.